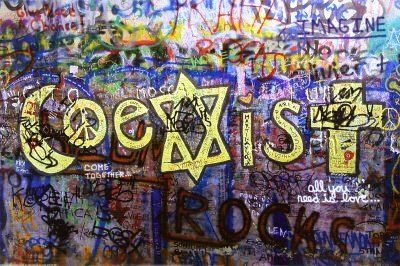 "Coexist" written using the religions of the world. Can't we all just get along? This poster measures 24" x 36".